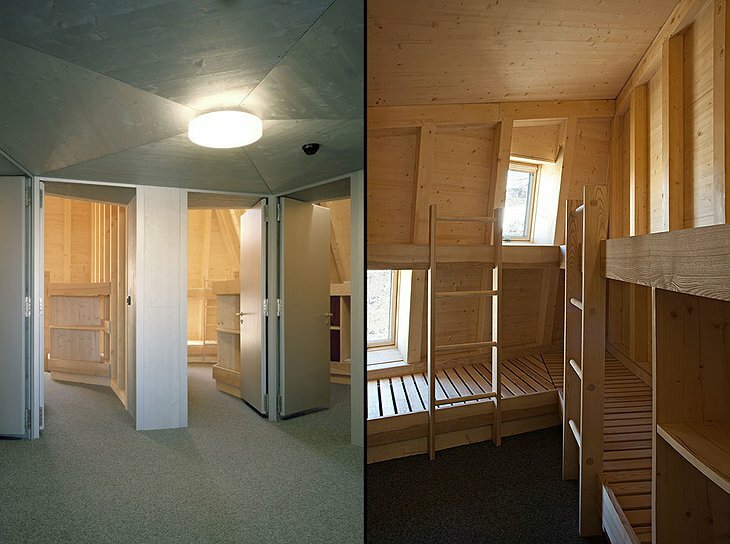 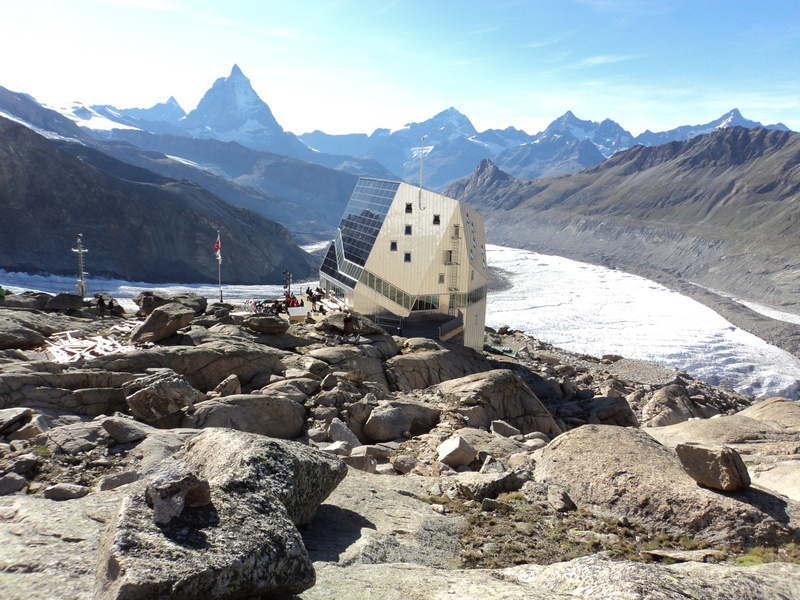 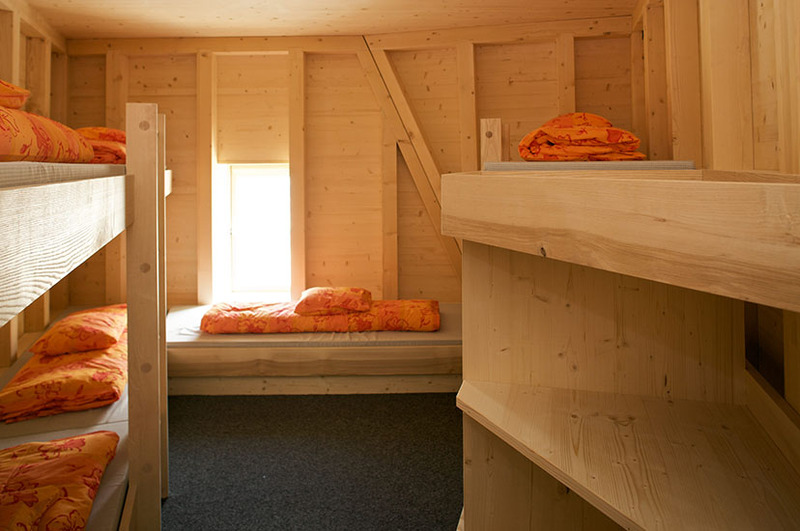 This hut is owned by the Swiss Alpine Authority and was designed by professors and students of architecture and eco-design from Lucerne University and ETH Zurich (Swiss Federal Institute of Technology). 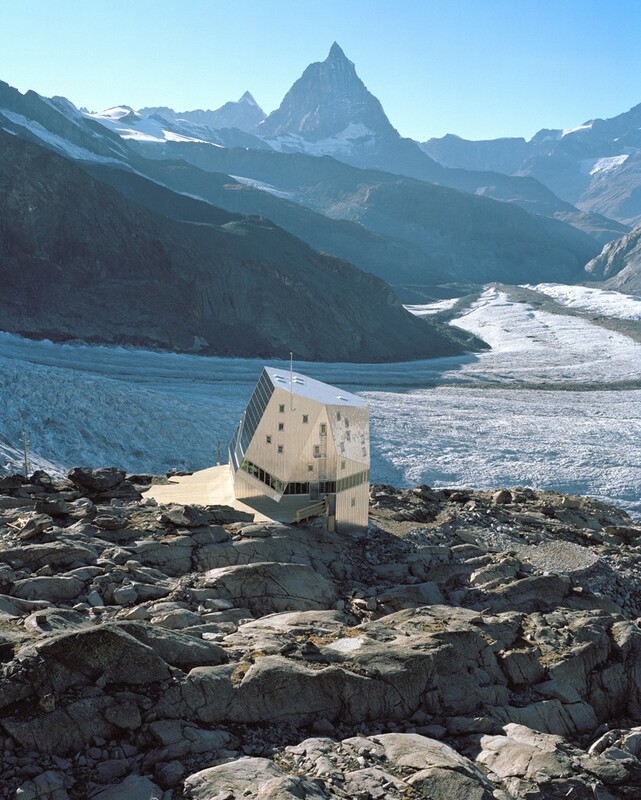 The crystal-shaped building is designed to make sunlight spiral inside while redistributing thermal body heat from occupants to heat the lodge naturally. 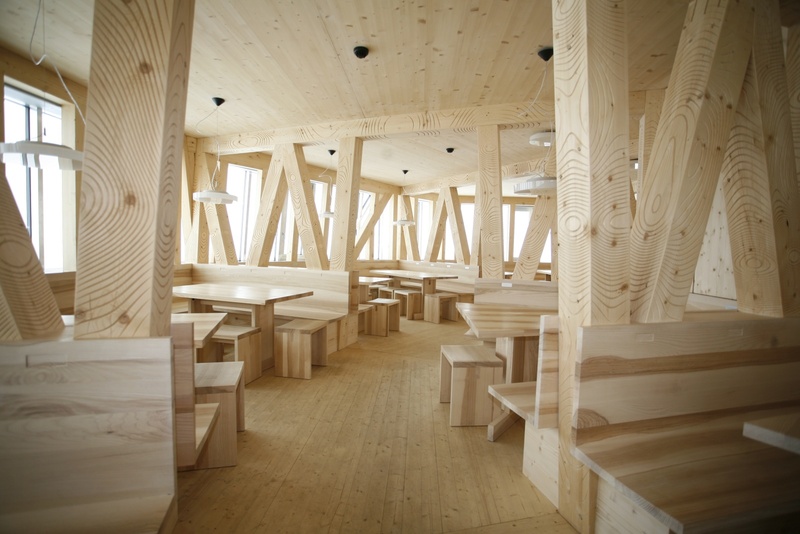 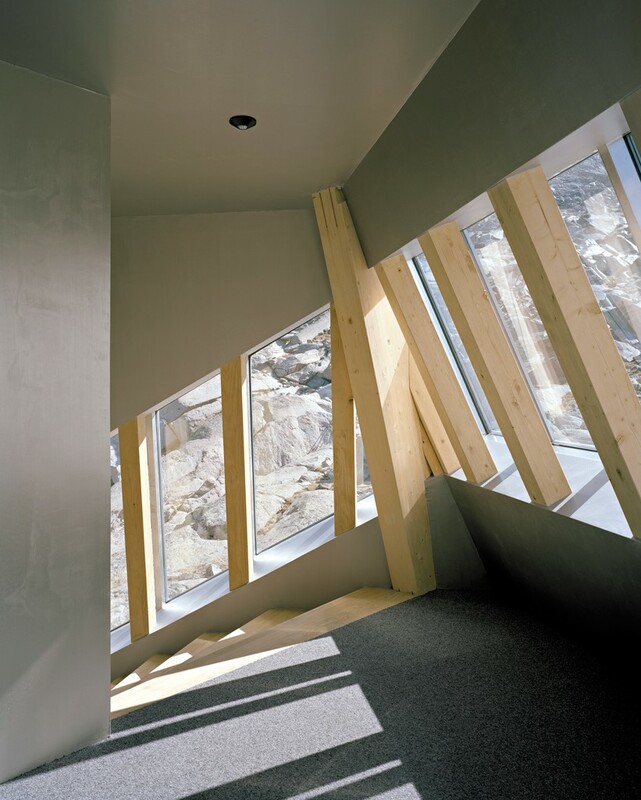 It combines a wooden interior with an aluminum and glass shell to reveal amazing views of the Gorner Glacier. 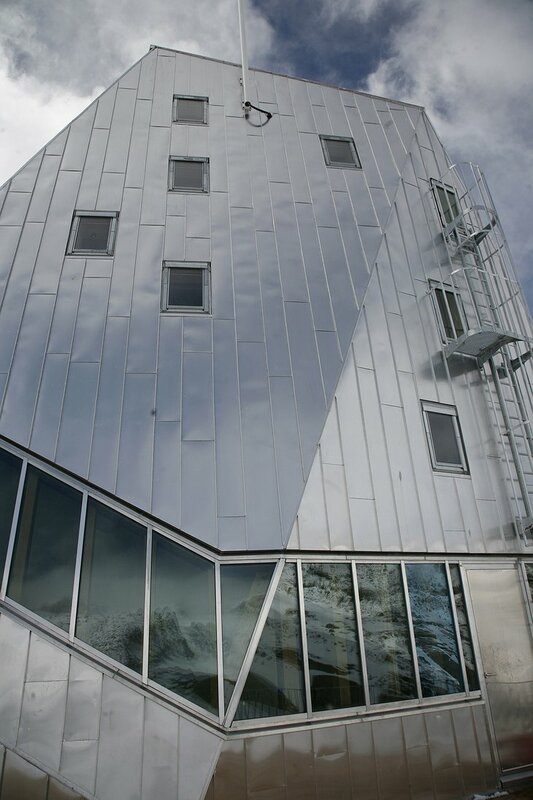 Excess energy is stored in valve-regulated lead-acid accumulators, which will provide power in darkness. The water is produced from melting glaciers then collected and stored in a large reservoir 40 metres above the hut. 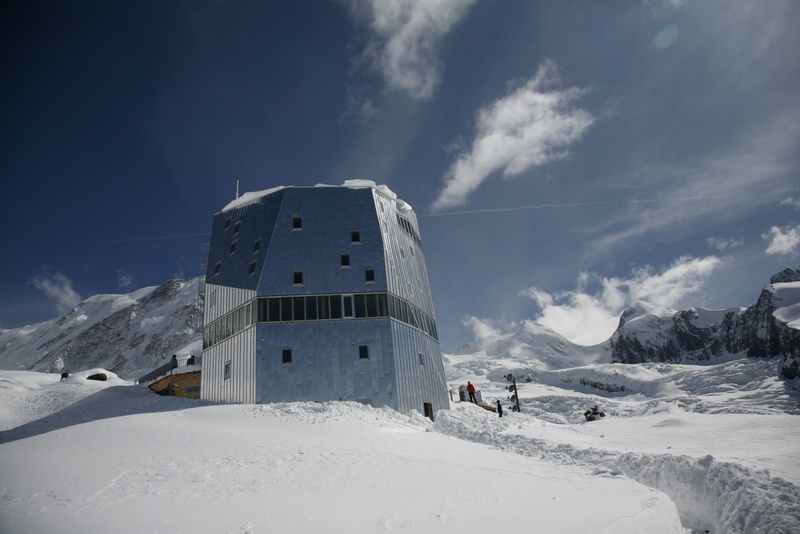 Eventually it will be used as a research station and an example of how energy and resources can be used with maximum efficiency. 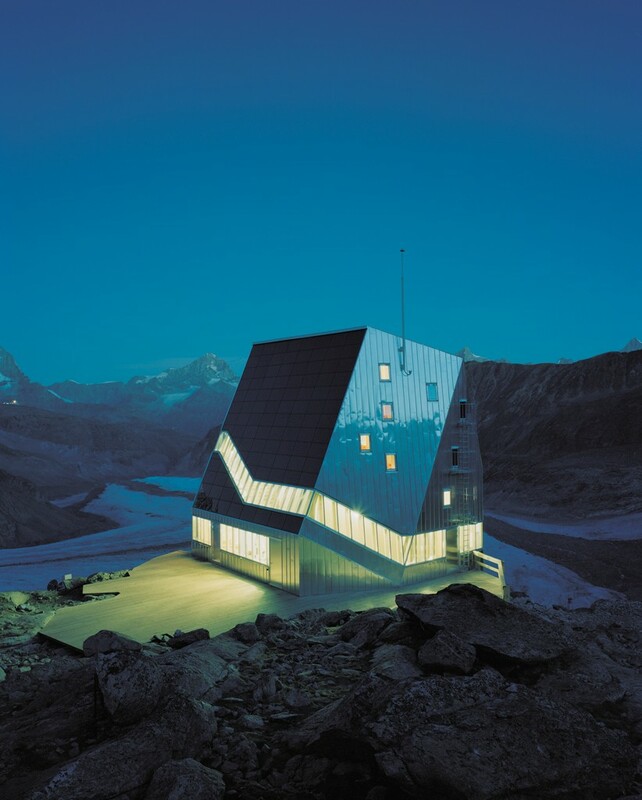 So, unfortunately you cannot stay there. But I am sure we can both salute the people designing unusual buildings in unique harmony with their environment.